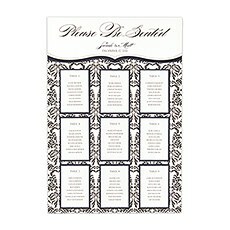 Opting for a wedding seating chart display rather than individual place cards is a great way to keep your seating design under budget without sacrificing style. 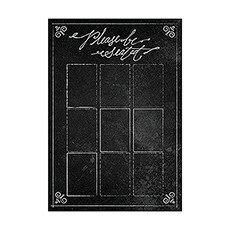 The Knot Shop has tons of chic wedding table planners and accessories for creating standout seating displays, including personalized seating charts and wooden easels that allow you to beautifully showcase your display for easy reference. 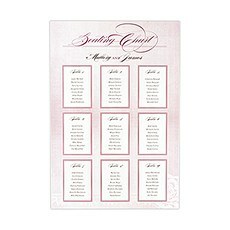 We've got options for all wedding themes, and most styles can be custom-ordered to reflect your unique wedding style.Choose one of our personalized wedding seating charts for a super-simple seating plan. 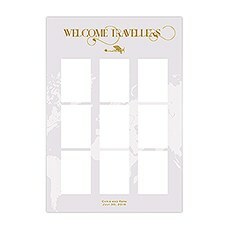 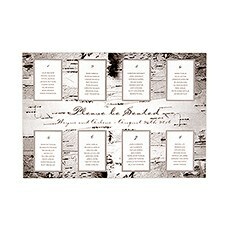 Each one includes a personalized seating chart, table card templates and display decorations. 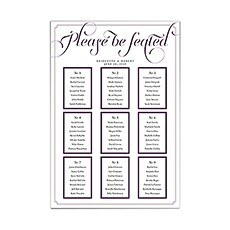 The easy-to-follow instructions allow you to create a professional-looking custom seating chart that will simultaneously enhance your decor and help inform guests of seating assignments. 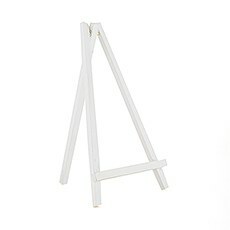 For more ways to bring the task of seating assignments to life, explore our awesome assortment of table planning accessories at The Knot Shop.